When you buy direct from FrogtownHobbies.com, we will keep track of your total purchases. 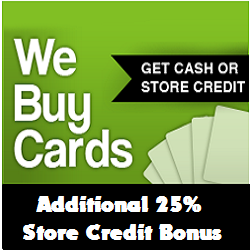 The more money you spend, the higher percentage of store credit you will receive on each order. This store credit will be added to your account when your order is shipped. Your first purchase is automatically at 1% Frogtown Rewards level. Refer A Friend allows you to build store credit and help your friends to join you in shopping at our store. They will start with a $5 off coupon which can be used on their first order of $10 or more. As a token of our gratitude, we will award you 10% off the total of the order they use their coupon on once it is shipped. Only new users in new households can benefit from Refer A Friend.